Just as with wine and cheese, your Mercedes-Benz gets better with age. And with age comes distinction. Those are just a few of the reasons why you should join Mercedes-Benz of Denver's Classic Cars Club. However, the main reason is that, excluding yourself, no one takes better care of your legendary vehicle than the experts at our Service Department. 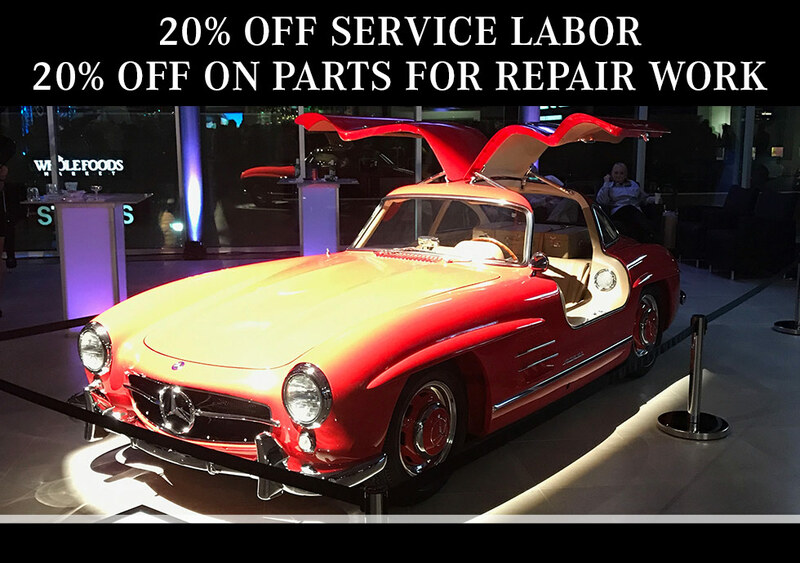 Aurora and Denver Mercedes-Benz owners will receive the VIP treatment they have come to expect from Mercedes-Benz of Denver, as well as solid discounts on parts and labor. Visit us today and discover how easy - and inexpensive - it is to keep your legendary vehicle in peak condition. Model years 2012 and older. This special cannot be combined with any other offers. Not applicable on prior service work. Must present coupon at time of write up. See dealer for complete details. Some restrictions may apply. Offer expires 01/31/19. Don't miss out on these exclusive service incentives available through our Classic Cars Club. Click any image, or fill out the form, and schedule your service appointment now at Mercedes-Benz of Denver.